President Jim Lepkowski is Research Professor Emeritus at the Institute for Social Research and Professor Emeritus in the Department of Biostatistics, University of Michigan. He has a BS in mathematics from Illinois State University, and a Master of Public Health and Ph.D. degrees from the University of Michigan. He teaches graduate level courses in survey methodology and is an active researcher. He and his wife Alicia have three adult sons and daughters-in-law and five grandchildren. Jim has a passion for the study of the Bible and is dedicated to serving the University of Michigan. Secretary John Brent is an attorney residing and practicing in Ann Arbor, Michigan. John has a deep interest in the fields of Early Christian Studies and the Ancient Near East, having majored in Biblical Studies at Geneva College (Beaver Falls, PA), and having earned a Master of Divinity degree at Westminster Theological Seminary (Philadelphia, PA), and a Master of Arts in Ancient Near Eastern Languages and Literature at the University of Michigan (Ann Arbor, MI). John also possesses an undying love for and dedication to the University of Michigan and is honored to serve as a member of the board of the Michigan Center of Early Christian Studies. Jayne M. Verlee Jayne VerLee is a retired RN with a BSN in nursing from Nazareth College in Kalamazoo, Michigan. Her interest in life-long learning has motivated her to partake in tours to sites of Christian antiquity in Israel and Turkey. As a result, she has led women’s Bible studies on the topics of first century Christianity and on exploring the Jewish roots of the Christian faith. She lives in Holland, Michigan, and has four adult married children. James Waddell James Waddell is Associate Professor of Biblical Studies and Director of the Masters Programs at the Ecumencial Theological Seminary in Detroit, Michigan. He has 25 years experience as a Lutheran pastorand also serves in parish ministry in an urban setting. His congregation hosts the Huron Valley Urban Farm in Ypsilanti Township, empowering residents of the surrounding neighborhoods to increase their food security and to develop stronger community relationships. He holds a Ph.D. in Second Temple Judaism and Christian Origins from the University of Michigan and has taught Biblical Studies, Classics, Religious Studies, World Religions, and Liturgical Theology at several institutions, including the University of Michigan and the Ecumenical Theological Seminary. His teaching highlights early Jewish and early church views of wealth, economic exploitation and oppression of the poor, and justice in biblical and extra-biblical sources, and postmodern/post-colonial appropriation of biblical justice regarding wealth, poverty, endurance, and liberation. Emeritus Dr. Clifford graduated from the University of Michigan Medical School in 1962. He went on to the United States Army as a Captain from 1963 to 1965. Dr. Clifford spent 45 Years in private practice before he went on the receive his Masters in Biblical Studies from the Dallas Theological Seminary. Dr. Clifford and his wife Barbara have seven grown children and live in Grand Rapids, Michigan. Emerita The Reverend Dr. Kogel received her Bachelors degree at UCLA and graduate degrees from Wayne State University, the University of Michigan, and the McCormick Theological Seminary. She is an ordained Presbyterian Church (USA) minister and a member of the Detroit Presbytery. She served as Associate Professor of Biblical Studies at the Ecumenical Theological Seminary in Detroit and Adjunct Faculty in Humanities at Wayne State University and Macomb County Community College. An author and photographer, Lynne has published Christianity in Stained Glass, and her photos have appeared in several books and magazine covers. 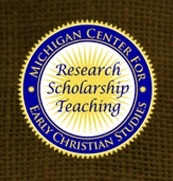 She is a founding member of the Michigan Center for Early Christian Studies. Captain Kogel holds a 100 ton near coastal license issued by the U.S. Coast Guard and is a descendant of William the Conqueror, and a Prelate General for the Order of the Norman Conquest.